Welcome to another week at Merry Monday! 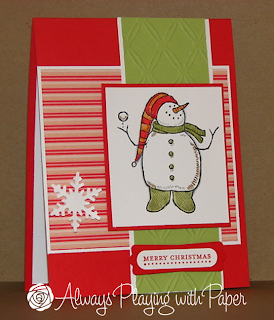 The whole idea behind this weekly challenge is to get a jump start on your Christmas cards for 2012. So far we have 10 Christmas cards made! 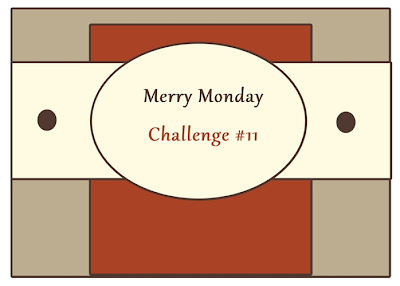 My sketch this week is one that you can twist and turn, change the oval shape and make your own! I did all of the above!! Here is my card below. I hope you like it!! 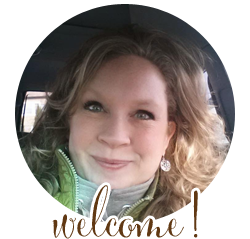 This week I decided to ink up a brand new set for me from Stampin' Up called "Snow Much Fun" and I used a non-traditional colour scheme, with Peach Parfait, Pear Pizzazz and Poppy Parade. 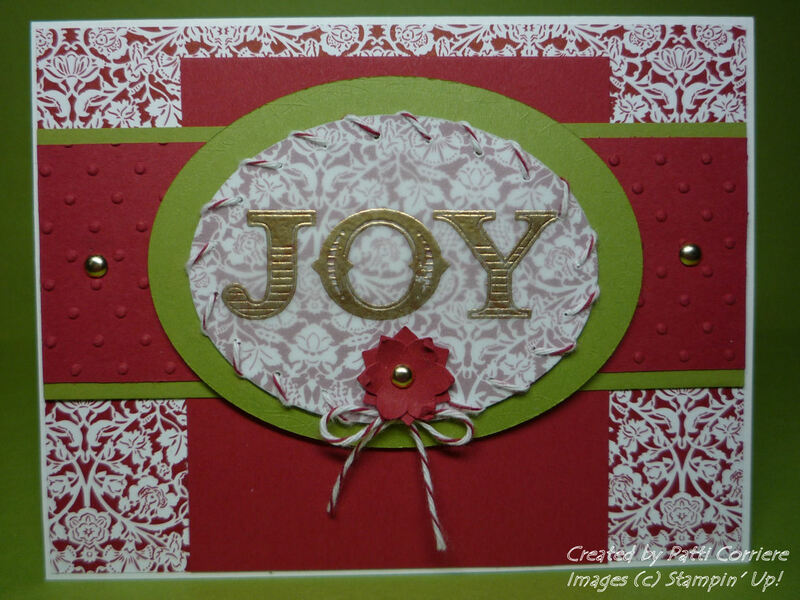 The main image was stamped in Stazon and then coloured with my Stampin' Write markers. 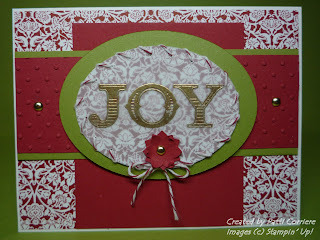 The sentiment is from Teeny Tiny Wishes and is inked in Poppy Parade. My monthly Featured Designer Sandi MacIver and Guest Designer Patti Corriere, have created beautiful cards this week, be sure to stop by their blogs to leave them a comment. Love your card Lesley, and Patties too. It's just so fun to see what everyone does with your awesome sketches. Thanks so much for providing them, doing these challenges is really fun! 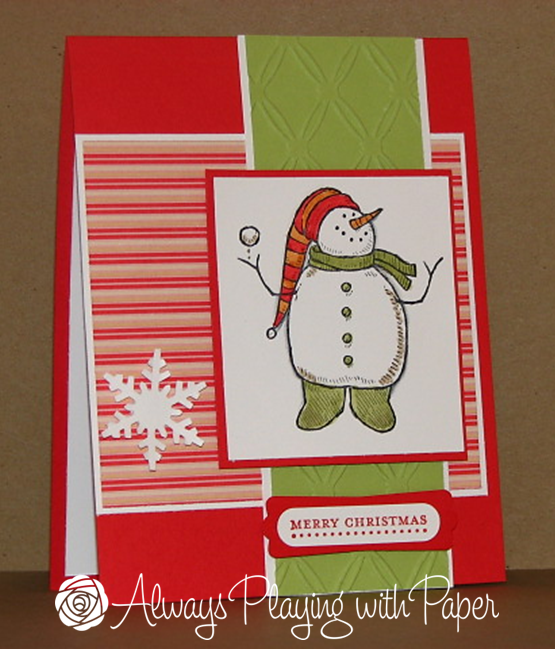 Wonderful card -- love the striped paper and that fun-loving snowman! Lovely sketch ... Looking forward to playing with this one! Lesley I Love the non-traditional colours and this stamp set is so cute. I love this sketch and your snowman who looks ready to throw that snowball. Thanks for the challenge and the inspiration.